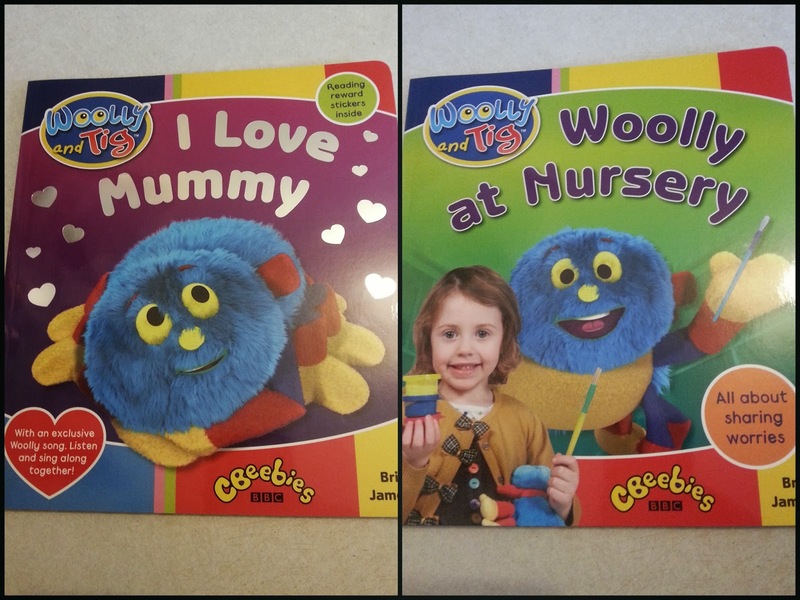 New Woolly and Tig Books. Join Tig and her cuddly toy spider Woolly, as they explore the feelings that children have when faced with new experiences. Taken from the smash hit Cbeebies show 'Woolly and Tig'. Each book is written and designed to encourage children to talk about new experiences. These picture books use the 'My first picture book' format and are printed on toddler-tough card with safe rounded corners for a long lasting read. I Love Mummy and Mummy loves me, we've been together since I was wee! Join Woolly as he shows Tig all the wonderful things that Mummy does every day to make them both feel safe and happy. But sometimes even Mummy needs help if she's busy or feeling worried. Luckily Woolly can show Tig all the things they can do to help Mummy and make her smile! Woolly at Nursery , Woolly and Tig love going to nursery - there's so many fun things to do. But when another little boy accidentally bumps into Tig, her tummy feels funny and she wants to go home. Can Woolly show Tig that if she shares her worries with her teacher, her funny tummy will go away? 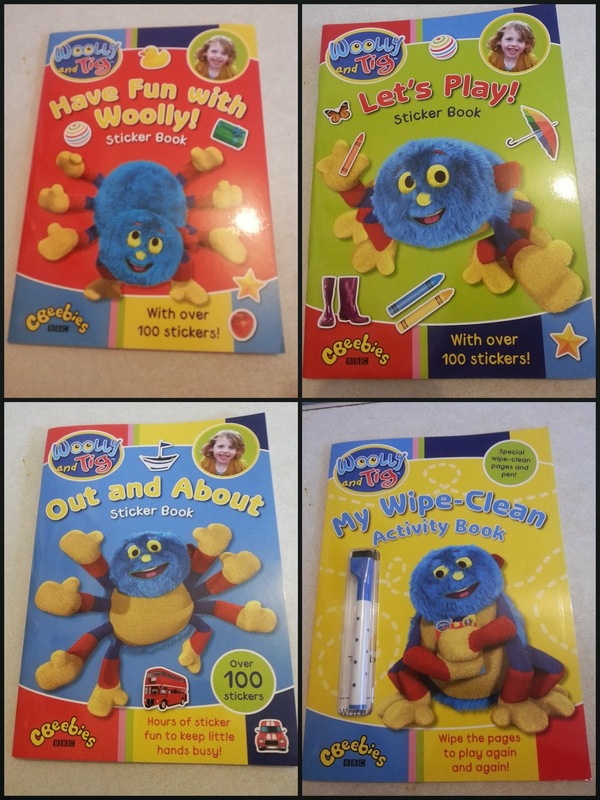 My Wipe-Clean Activity Book, have hours of fun with Tig and her cuddly toy spider Woolly, in this jam packed wipe-clean activity book based on the smash hit Cbeebies show. Use the special pen to join in the fun with Woolly and Tig. It's packed with puzzles, activities and drawing fun plus with the brilliant wipe-clean pages you can play again and again. 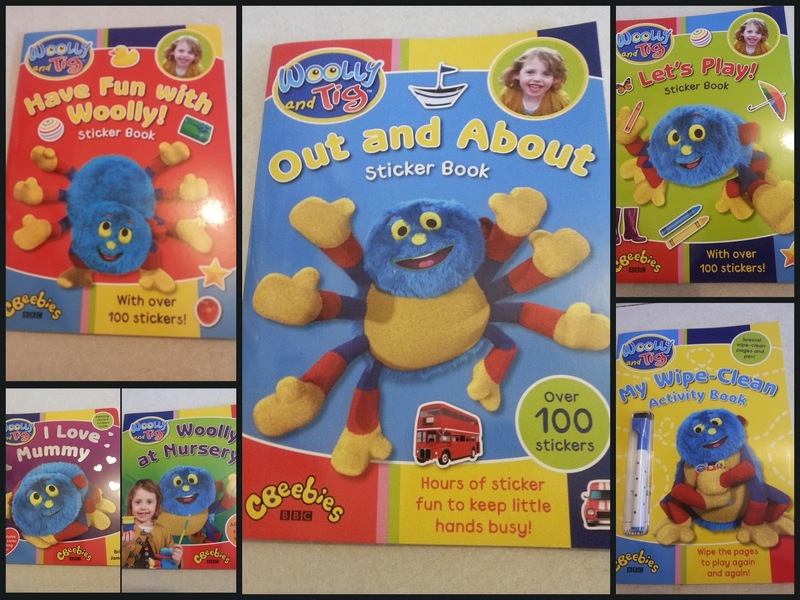 Out and About Sticker Book, Woolly and Tig love their special days out. From a visit to the zoo, a day at the fair, a boat ride or even a trip on a steam train you can use your stickers to join in the fun. Packed with over 100 stickers, plus activities, drawing and colouring fun. We're big fans of Woolly and Tig and really enjoy reading their books. These new activity books are going to go down a storm in my house, I can see the hours of quiet already. These books are brought to us by the Random House Children's Publishers UK. Disclosure: I was sent some Woolly and Tig books for the purpose of this post. Looking For Somewhere To Shop In London? Our Zack & Quack Twitter Party Was a Blast! A Valentine's Weekend To Remember! I Want To Look Cool At The Gym.